This post is part 2 to Gypping Jesus. In that post I said Jesus will get all that He paid for on the cross. This includes the salvation of all people. But how does He save all people when most people don't want anything to do with Him? Jesus, "the Great Shepherd of the sheep" (Hebrews 13:20), has been given a job by His Father: save all people of the earth from sin and death. That's billions of people. The problem? All the people of the earth have strayed from Him to do their own thing. The sheep are trying to shepherd themselves. Guess how that ends up. And our own way puts us in tough spots. But thankfully, Someone is going to rescue us. Yes, the Great Shepherd. But we're often confused by His timing. We see millions of people go into the toughest spot of all - death - without being rescued by Jesus. Where was the Great Shepherd when they needed Him? Ever wonder to yourself, "How did I end up here?" Though death seems to be an insurmountable obstacle to us, it isn't to Him. He already overcame death by His own resurrection. So when the straying sheep is in death, the Great Shepherd will raise him or her up. Jesus said in John 5:28-29, "Marvel not at this, for coming is the hour in which all who are in the tombs shall hear His voice, 29 and those who do good shall go out into a resurrection of life, yet those who commit bad things, into a resurrection of judging." The main point of these verses is that all will be rescued from death. No sheep can stray beyond the reach of the Great Shepherd. Yes, some will go into judgment after their resurrection. But the goal of this judgment is clear. Jesus said in John 5:22-23, "For neither is the Father judging anyone, but has given all judging to the Son, 23 that all may be honoring the Son, according as they are honoring the Father." There it is in bold - that all may be honoring the Son. This is the ultimate goal of all judgment handed out by Jesus. Look at what Jesus has already done for all of us straying sheep. And He's still working. 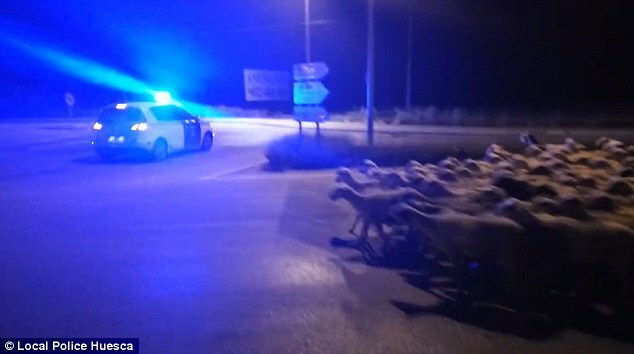 Straying sheep are currently being rescued. When He returns to the earth, He will complete the massive task His Father gave Him to do (1 Corinthians 15:22-28). What are sheep good at? Well, they can provide meat, milk, wool and hides (but they're not thrilled about the meat and hides thing). They can control unwanted vegetation. And they can be cute and cuddly. But they are also good at straying. This is why they need a shepherd - to protect them from themselves and predators. 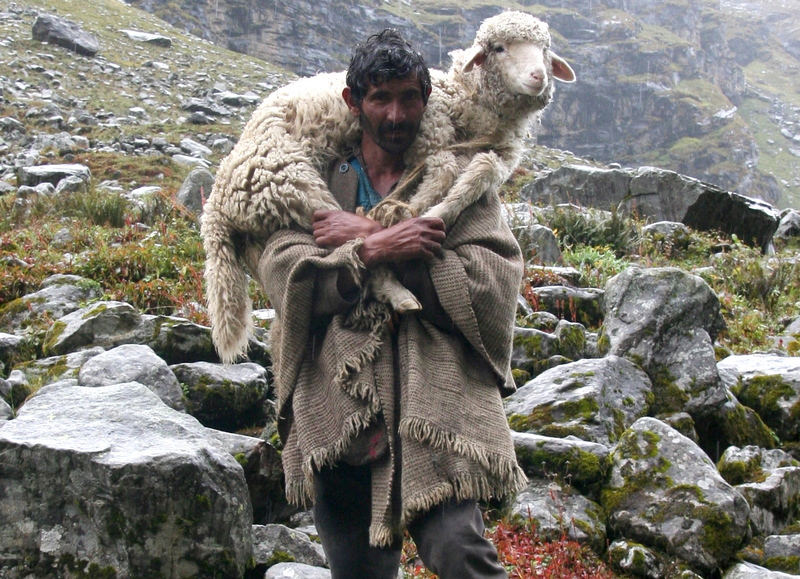 To the shepherd who owns the sheep, they are very valuable. To the shepherd who doesn't actually own the sheep he shepherds, well, they're not valuable enough to risk his life for (John 10:11-13). This is what makes the Great Shepherd different. He made us. He owns us. We're all valuable to Him. Valuable enough to willingly lay down His life on the cross. Valuable enough to continue to work until the salvation of all sheep is a reality. Ever feel weary and scattered? These are symptoms of a Shepherdless soul. Jesus can fix that. Obviously Jesus isn't talking about sheep. He's talking about humans - us! Read this again, only insert children or child for sheep. Who among you wouldn't do all he could for your lost child who is in the wilderness? Unless you're a heartless douchebag, you now get a glimpse at the heart of Jesus and His Father. Notice in the first sentence why Jesus (a.k.a. - "the Son of man") came to the earth - "to save that which was lost." Do you think He came to save all, or only part, of what was lost? A 99% success rate would be awesome for us. But 99% falls short of Jesus' standard. He wants nothing less than 100% of His sheep. There you have it. Not 99%. ALL! There's so much in these words that several books could be written on these few verses alone. Since Saul was "a pattern" for those who would eventually believe in Jesus, all other straying sheep will also be shown mercy and overwhelmed by Jesus with grace, faith and love. When you are overwhelmed by something, you are powerless against it. When Jesus overwhelms a straying sinner with grace, faith and love, it will be rescued. Once Jesus lays that sheep on His shoulders, it's all over. The sheep is no longer lost in the wilderness. The lost has become found. This is great news for the sheep. This is how the Savior of the world actually saves the whole wide freaking world - He overwhelms it with grace, faith and love. His Father gave Him all authority in heaven and earth to finish His work (Matthew 28:18). And who's gonna stop the Almighty Son of God from doing this? No one! Until Jesus completes His task to save all that was lost, we can only live one day at a time while faithfully looking to the amazing future. Has this - or something kinda like it - ever happened to you? You pull up under the Golden Arches because you're craving some of the world's best fries and a Big Mac. You smell that smell. You already know what you want as your eyes feast on the menu covered with images of perfect burgers. You don't care that your Big Mac won't look that good. It's the taste you're after. You clearly and politely enunciate your order so no mistakes are made. Your mouth begins to water as you pull two crumpled five-dollar bills from your tattered leather fanny pack. Tears begin to run down your face in anticipation as you ease your moped toward the first window to pay. By the time you get to the second window you're sobbing and drooling, and people are staring, pointing and laughing at you. You don't care! You thank the window-food-lady and speed off to the local park to devour your prey. You nearly snap in half your six-foot tall orange moped flag pole in your haste. Depression and red-hot fiery anger flood your body. You throw the Big Mac to the ground in disgust. You fly home, snapping the six-foot tall orange moped flag pole in your haste. You throw on your pajamas (nevermind that it's only 12:42 in the afternoon) and watch Jerry Springer re-runs the rest of the day. It's the lowest point of your life. Jesus came to earth to buy something. No, He came to buy everything. He scanned the menu, and He wants the whole thing - regardless of how it looks right now. The cost? Two crumpled fives? Not even close. Jesus didn't even wear a stupid fanny pack (that was Judas' job). The cost was His life! Feast your eyes on these verses. Did you see that - He came "to reconcile all things to Himself ... things on earth or things in heaven, having made peace through the blood of His cross." There it is again - "His own blood." Boom! Again - "the blood of Christ." Is it precious in your eyes - "the precious blood of Christ"? Jesus doesn't care about where you were born or the color of your skin. He created the color of your skin. He bought us for God by His blood! This is heavy stuff man! Are you getting it? And this - don't skip this. Put your eyeballs on it and think hard about it. So Jesus bought all things - this includes all people - with His precious blood. But He hasn't taken possession of everything yet. It's like He bought the whole freakin' store, grabbed a giant shopping cart and is putting the stuff He owns into the cart. It doesn't happen all at once. But when He's finished the cart will be filled with the complete inventory of the store. All men will be in the cart. All men will be saved. None will be left on the shelf to rot. Jesus bought every person because He wants every person. Jesus' Father gave Him the power to do this, and He's going to do it. Check this out. Ok. How do I know all things will become subject to Jesus? I'm glad you asked. So when it's all said and done, the cart will be completely full, and God will have everything subject to Him. He will then be "all in all." Jesus doesn't have to hire out the job of getting all that He's paid for. He believes in the old saying, "If you want something done right, you gotta do it yourself." Besides, no mere mortal can accomplish the things God has empowered Jesus to do. But, alas, some say He will not be able to get all that He's purchased. Some say His shopping cart is just too small, and He's going to run out of time. Who are these people? Sad to say, those who proclaim His inability to do this are the very ones who claim to be His followers. They carry His book, wear crosses, gather together on Sundays, and thank Him for their own salvation. But they don't believe He will do what He came to do - buy all things with His blood, save all people, and bring all things under His Father. Yes, mainstream Christianity says Jesus is going to get gypped. And they say mere mortals are the ones who are going to gyp Him. Hmm, how they gonna do that? Well, apparently when Jesus reaches toward the shelf to put people into His enormous cart, most will simply say to Him, "No, Jesus. I like the shelf." He will honor their desire and leave them. End of story. Check out my next blog post - Passive Salvation - to see how Jesus gets all people off the shelf and into His cart.